Do you think your car or truck handles well? 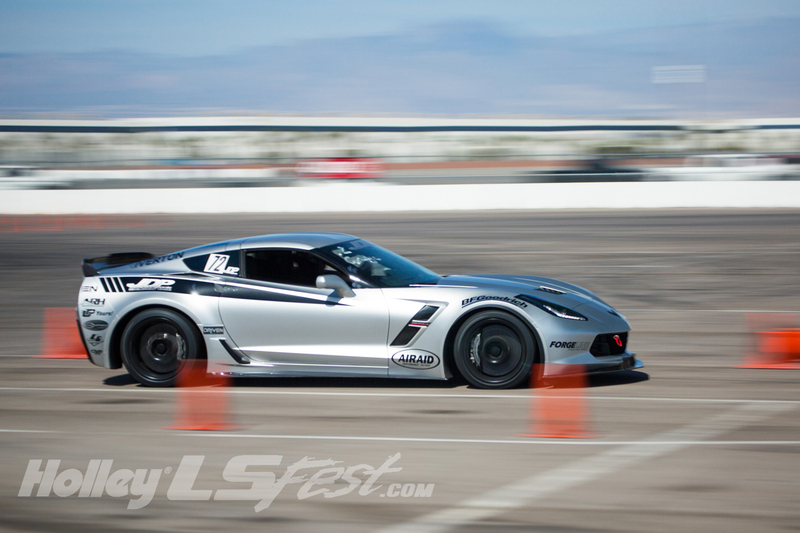 Then put it to the test on the LS Fest West autocross course. The autocross is a low speed competition designed to highlight the handling, acceleration and braking of your ride. The wide sweepers, tight hairpins, chicanes, and slalom sections of the course will keep your adrenaline pumping from start to finish and put your driving skills to the test. See below for class rules and safety requirements! 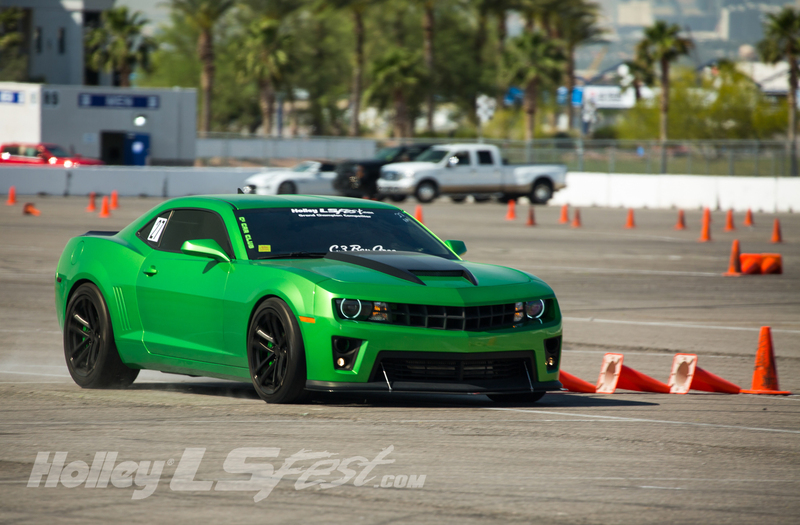 The autocross at LS Fest West will be taking place on a portion of the parking lot just behind the drag race grandstands at the facility. 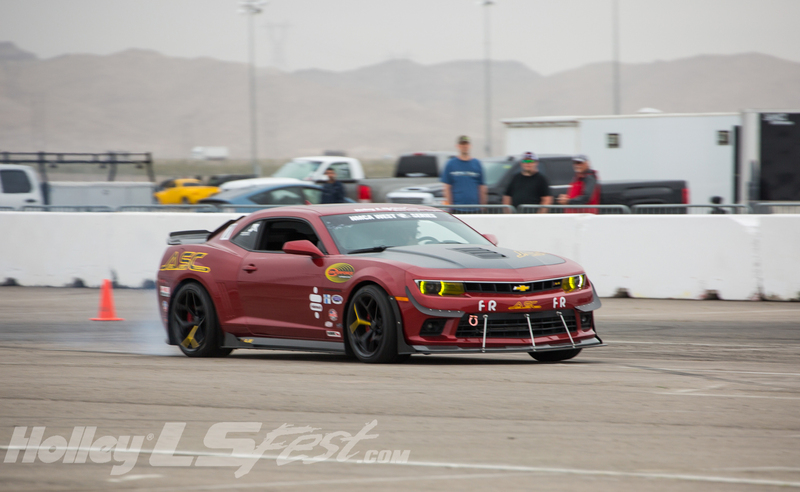 On Sunday the main autocross will be converted over to the 3S Challenge, while the second autocross will remain open for fun runs throughout the day. 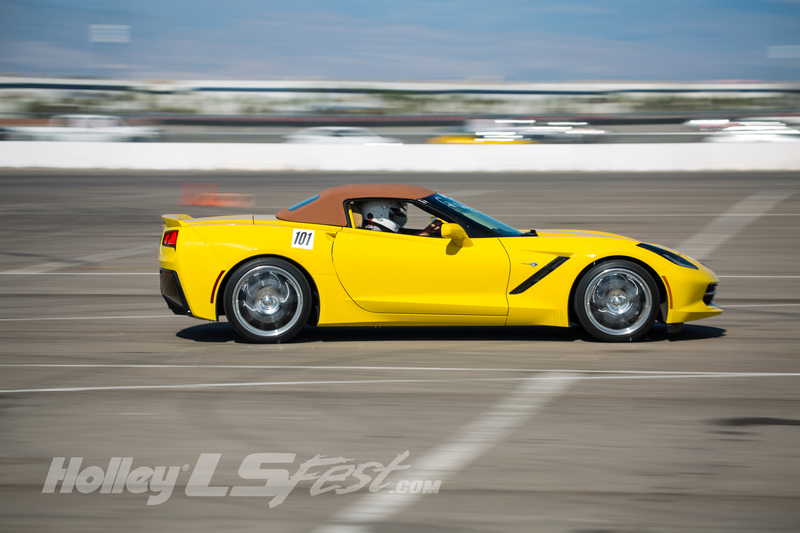 AUTOCROSS REGISTRATIONS ARE LIMITED TO THE FIRST 125 VEHICLES! GRAND CHAMPION REGISTRATIONS ARE LIMITED TO THE FIRST 150 VEHICLES! In order to drive competition down through the field, awards will also be given for various time classes (to be determined). For example, if the course is a 40 second time for the top 10-15 competitors, we will create a 45 second class, a 50 second class and 55 second class. 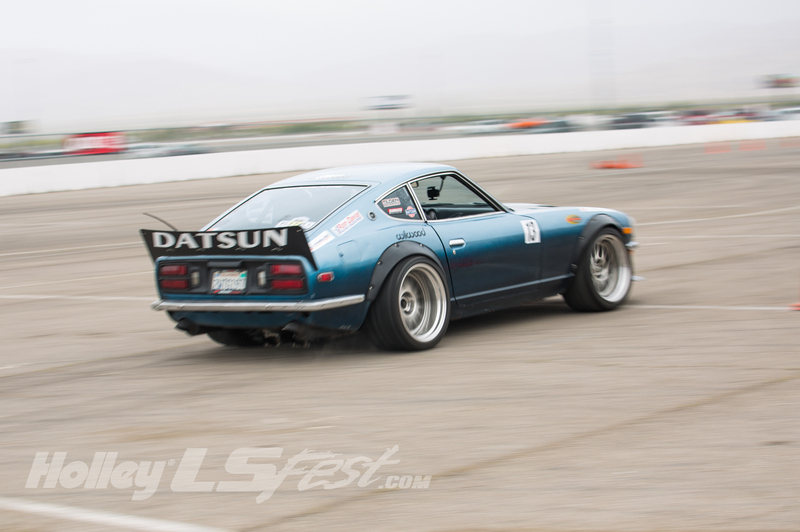 Those cars closest in time to the designated class will be eligible for autocross awards only. LSFest West Grand Champion points will only be awarded to fastest overall times, not the time classes. Race directors have complete discretion to determine the time classes and how many. The registered owner must drive the vehicle for all events. All drivers will be required to sign a liability waiver. Passengers must be at least 18 years of age and will be required to sign the same liability waiver as driver. A mandatory driver/passenger meeting will be held prior to the first competition. Only official wrist banded drivers and waivered passengers may ride in the cars on the course. No more than one passenger will be allowed and that passenger must ride in the front passenger seat. All prize-eligible vehicles must represent a street capable vehicle with a strong resemblance to a current or former production model. 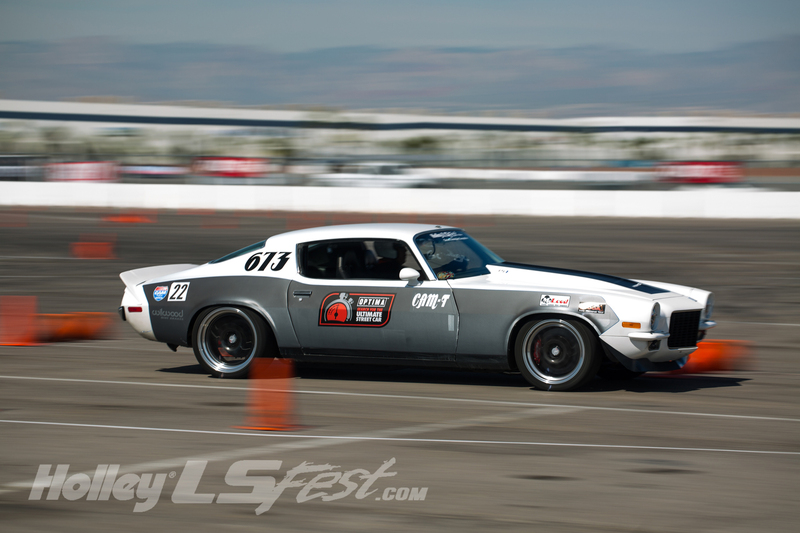 No purpose built race cars or kit cars will qualify for awards in the autocross event. The only open-wheeled vehicles allowed are ’34-and-older domestic vehicles and replicas thereof. Other vehicles such as production “concept” cars may be allowed. All competitors must have current registration, proof of insurance, and a current driver’s license. Each entrant will be issued a number that must be clearly visible on the windshield, side windows or rear window. White shoe polish is acceptable. Participants must use DOT approved street tires. Tires will be required to pass a technical inspection at the track. Street tires are defined as any treaded, non-competition tire with a 200 tread wear rating or higher. Competitors must use a single set of tires for the entire event, no tire changing between events will be allowed. Tires will be marked during tech. Tire changes will be allowed in the event of a catastrophic failure, but replacements must be of the same manufacturer and model as those approved during tech inspection. Helmet use is required (SA2010) for both drivers and passengers. 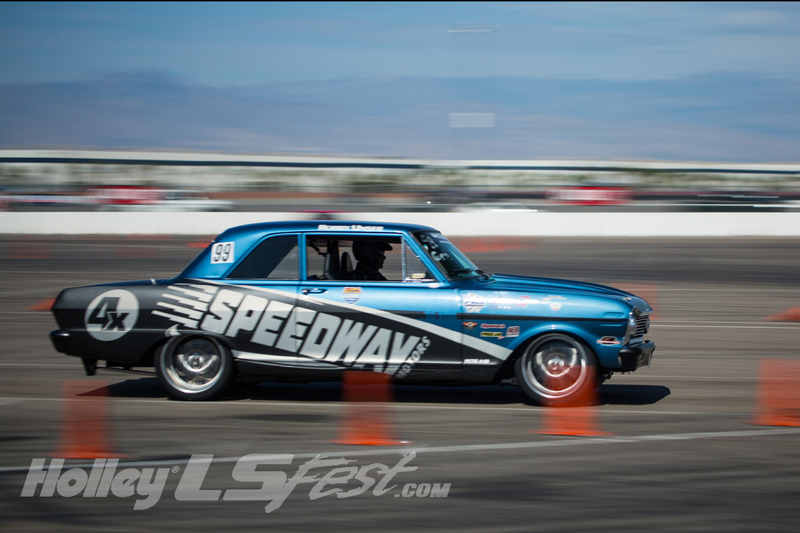 The autocross course design will attempt to keep speeds below 45 M.P.H. Drivers and passengers must provide their own helmets and motorcycle helmets will not be allowed. Proper brake pedal pressure and travel. Sufficient throttle return spring and secured battery. All lug nuts in place and tight. Hubcaps/clip-on center caps are to be removed. Each segment of the event will be timed to 0.00.00. There is no maximum number of runs. Winners will be the vehicles with the lowest time. A :02-second penalty per cone moved out of its box will be assessed during the autocross. A runoff between the quickest five vehicles may be held, time permitting. The fastest combined time of three laps will determine the winner. Race director and event organizers will have COMPLETE discretion to deny or remove from competition anyone in the event for any reason. The autocross may be run rain or shine at event organizer’s discretion. 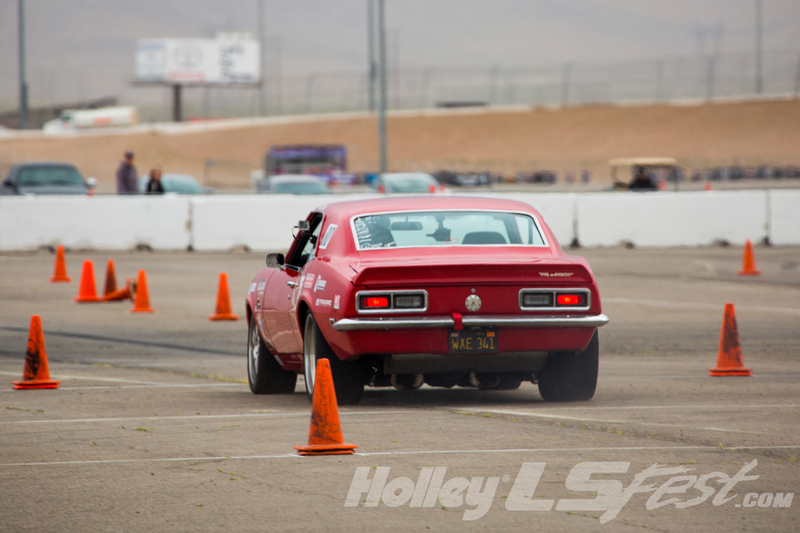 The autocross event will count toward the Holley LS Fest West Grand Champion award for competitors who compete in Drag Race, Autocross, 3S Challenge, Show-n-Shine and Road Course. * Event organizers reserve the right to change rules and class descriptions up to event time to promote fair and safe competition. 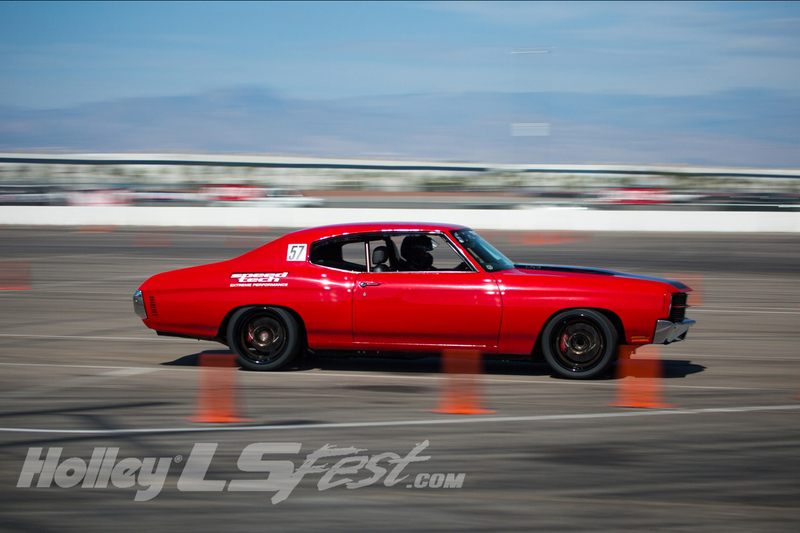 Chevy High Performance magazine is proud to announce their “Chevy High Noon Shootout” for Holley LS Fest West. 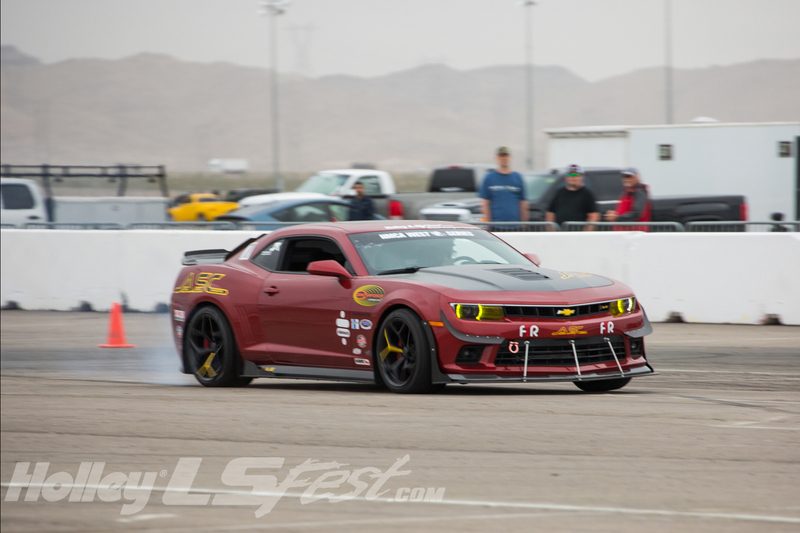 The High Noon Shootout will offer two individual events throughout the weekend, including an autocross challenge at noon on Friday, and Chevy High Performance Best of Show at noon on Sunday for the Show-N-Shine.